Getting a new CRM system embedded in your business usually has a fairly black or white outcome – either it works or it doesn’t! Often the reason for a project failure is not necessarily down to the software or your business, but not dedicating the right resource to getting things up and running. Today’s blog post isn’t necessarily telling you about which is the best system (although we’d be happy to explain that to you if you want us to! ), but how you get your system set up and “sold” to your workforce. Essentially, you need to select or employ someone and task them with the overall management and mandate for your CRM project. Depending on the size of your business this might be someone from the senior management team or it could be someone selected to do this with your full endorsement. It is important that this person has been given full support of the management, so that they are able to carry out their CRM project unhindered by roadblocks and constantly needing to request authorisation. Specific – Yes, moving all the data off spreadsheets into an online platform is a specific task. Measurable – If we know how many contact records are stored in Excel, we should expect the same number of records to appear in our CRM, prior to any deduplication that may be required. Achievable – we need to make sure the CRM manager has the relevant tools needed to carry out this task, and that the volume of data is a manageable workload for the staff available. Relevant – it is essential to the continued growth of the business that your data is imported into your CRM, therefore this task is very relevant. Timely – Although not specified in the brief above, the request has been made for the data to be migrated before the user training can take place. Therefore finding out when that training is scheduled means you can set the timeline for this work. 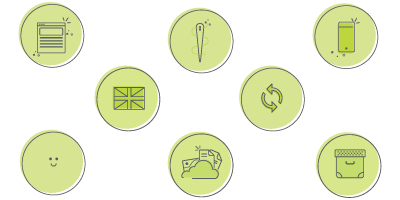 Customising your system – A standard CRM solution will be an out-of-the-box software package, so the CRM manager needs to turn generic into bespoke, tailoring the system to meet your unique requirements. Designing Templates – Customer-facing documents such as sales PDFs or email templates will need setting up and designing so that the tone and message of your brand is accurately captured within the system. Organising Training – The system is only ever as good as the people using it, therefore your CRM manager will need to figure out who needs training on what, when they are available and what infrastructure needs to be put in place to carry out the training. Configuring Reports – whatever the aim of getting your organisation on-board with a CRM solution is, you need to be able to show results and see the benefits of the new software. You can generate reports on any information contained in the system to help you view that ROI. As with our analysis of what is involved in a successful data migration, your CRM manager needs to establish solid guidelines for the desired outcome of all of those above steps, so that they can put their plan together and make sure everyone is happy.. So the burning question remains – what are the qualities needed from a CRM manager? First of all that person needs to be given adequate resource to deliver the task at hand. All too often I have worked with clients who have tried to cover the CRM champion role in their spare time which rarely works. Who really has that much spare time at work anyway?!? They will need to know your timescales, so they can have the system ready when you aim to start using it. Also they need to know what budget they have available. Various things such as the cost of hiring meeting rooms, employing graphic designers and so on will need to be factored in. So you need someone that can work to a deadline, and within a budget. Having established the scope, your CRM manager will need to work towards your goals and ensure each of them is met. They need to be tackled in the appropriate order – for example you cannot import your data if you haven’t first configured your system with the fields required – so you will need to plan the resources needed. A bit like putting a puzzle together, your aim is to fit the pieces to one another and build a complete picture. You cannot just look at each department in isolation. If you do so, you might decide to hide some parts of the system that will be very relevant to other members of the team. Or you could set certain fields as mandatory which are not going to be useful to everyone. Therefore you need to keep your head above inter-departmental priorities and view the implementation as a whole. If the project is to succeed, it needs to be met with enthusiasm. Instead of simply foisting the job onto someone’s no doubt already overloaded plate, it needs to be given to someone who can prioritise this, and not just do it at the end of the day. When it is done with heart and soul, that enthusiasm becomes infectious and can also help with a successful adoption across the board. Adopting a CRM solution will require a certain degree of cultural change within how your day-to-day operations work. For example your staff will need to log into their CRM system, rather than opening up Excel spreadsheets to view their customer data. Setting up reports for example can be a quick way of demonstrating how a data-gathering task used to take all Friday afternoon can now be done at the click of a button, and this kind of thing will demonstrate the value of the CRM solution as it makes their lives easier. There are lots of factors involved in being a successful trainer. Part of that challenge also involves rolling out the training in a manner that the team will “get”. Rather than relying on a generic user manual and letting the team get on with it, delivering the training in bite-sized chunks in a familiar terminology will make a massive difference and minimise frustration. 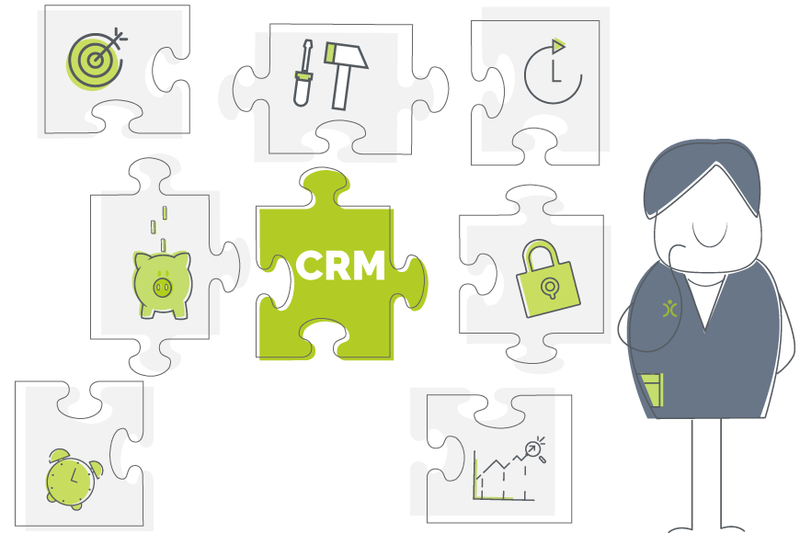 The last thing your CRM manager will want is just to be burdened with implementing a new set-up for your business without having a plan and without knowing your goals. But armed with the relevant information and resources and with the right skills, a good CRM manager is the key component that will make your project a successful one for years to come.